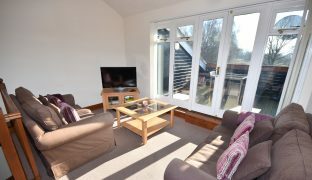 A spacious, well presented holiday cottage, built to a high standard and improved by the current owners, suitable for year round use, located in a relaxed, unspoilt Norfolk Broads residence. 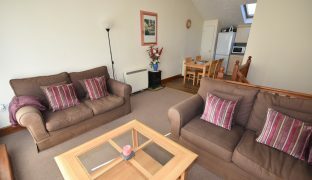 Currently run as a well-established holiday let with bookings in place for the coming season. 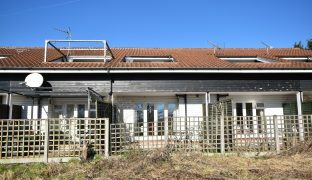 A spacious, well presented holiday cottage, built in 2003 to a high standard and improved by the current owners, suitable for year round use, located in a relaxed, unspoilt Norfolk Broads residence. 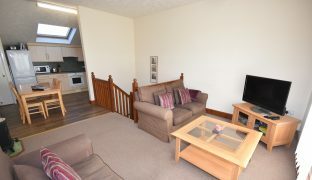 Currently run as a well-established holiday let with bookings in place for the coming season, the property offers a 25ft long open plan first floor living space leading out onto a south facing balcony with views out over open countryside and the adjacent mooring basin. 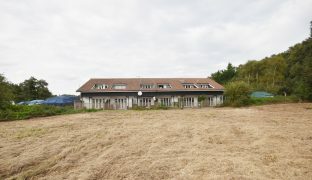 Two double bedrooms and a recently refitted four-piece bathroom. 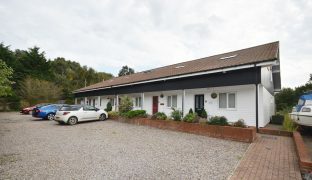 Features include sealed unit double glazing, electric night storage heating, fully fitted kitchen with appliances, off road parking and a south facing sun terrace. 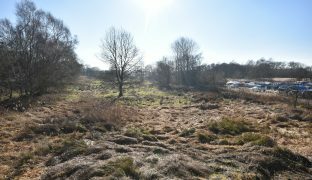 Set in a small development of only six cottages at the head of Sutton Broad, close to the River Ant. 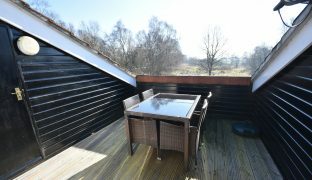 Great for access to the rest of the Broads and the coast with a wide range of amenities available in the market town of Stalham, only one mile away. 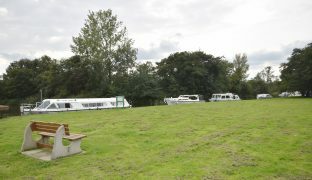 A short stroll across the village green leads to the local pub and a picnic area. Entrance Hall: Part-glazed front door, laminate floor, night storage heater, staircase to first floor, under stair storage cupboard, built in cloaks cupboard. 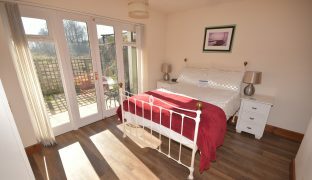 Bedroom 1: 13’10” (10’11” min) x 9’8″ – Large French doors with blinds leading out onto the south facing terrace. 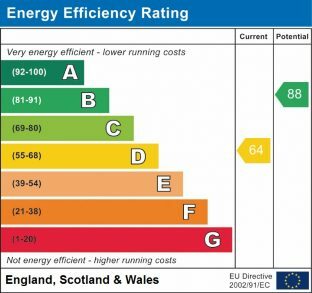 Wall mounted electric heater, built in double wardrobe, laminate flooring. 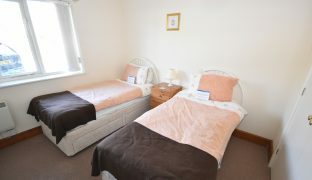 Bedroom 2: 10’5″ x 9’5″ – Window to front aspect with fitted blinds, built in double wardrobe, night storage heater. 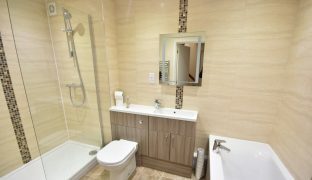 Bathroom: Fully refitted in 2017 with large walk in shower enclosure, panelled bath, vanity wash basin and a low level w/c. Fully tiled walls and floor, heated towel rail, extractor fan, down lighters. 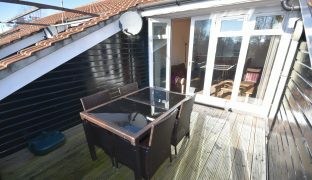 Open Plan Living Space: 25’11” x 13’9″ (7’9″ min) – Spacious living area with French doors out onto the south facing balcony offering open views, external lighting and a storage cupboard. 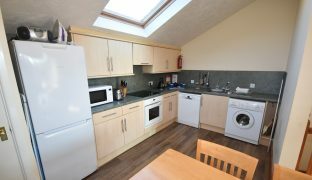 The kitchen area offers a full range of wall and floor mounted units with 1½ sink unit and drainer, built in oven, hob and extractor hood. Plumbing for dishwasher and washing machine. Velux window to front aspect, two night storage heaters, part laminate flooring. 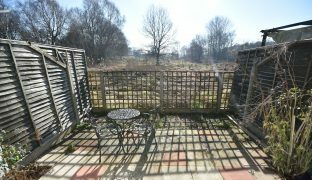 The property benefits from a south facing terrace and outside lighting along with off road parking. 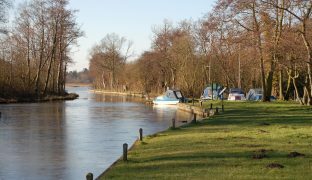 Moorings are available to rent in the nearby Sutton Staithe Boatyard by separate arrangement and subject to availability.